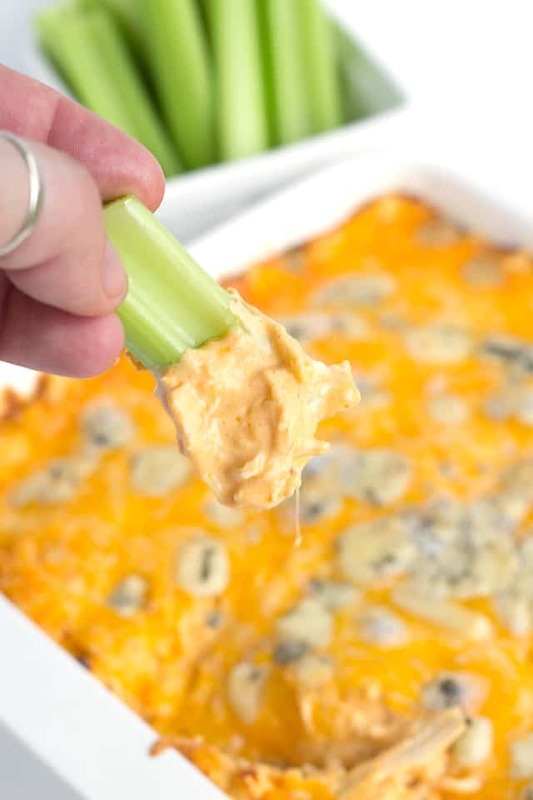 This easy Buffalo chicken dip is better than chicken wings! There’s heat from hot sauce, creaminess from cream cheese, and plenty of shredded chicken and blue cheese crumbles. This is one of my favorite easy dip recipes! This Buffalo chicken dip recipe post has been compensated by Collective Bias, Inc. and its advertiser. All opinions are mine alone. 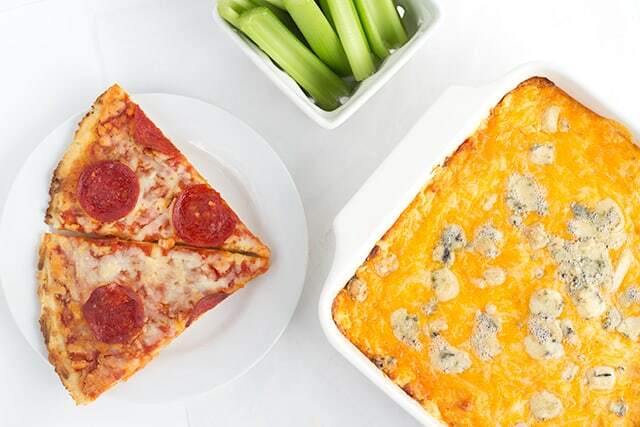 This easy Buffalo chicken dip is the perfect addition to a Tony’s® Pizzeria Style Pepperoni Pizza. I’ve grown up eating Tony’s Pizza and and buffalo chicken wings. 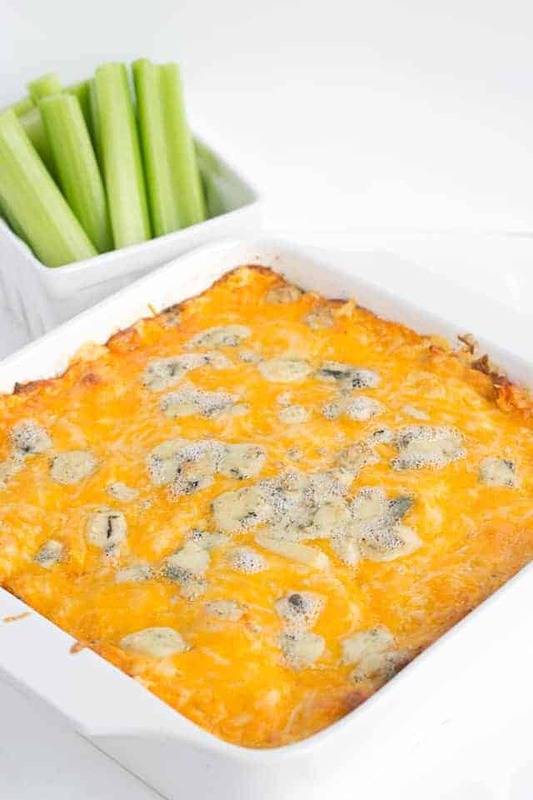 I thought that this Buffalo Chicken Dip recipe would be a nice twist on one of my childhood favorite dinners, and the perfect game day meal! 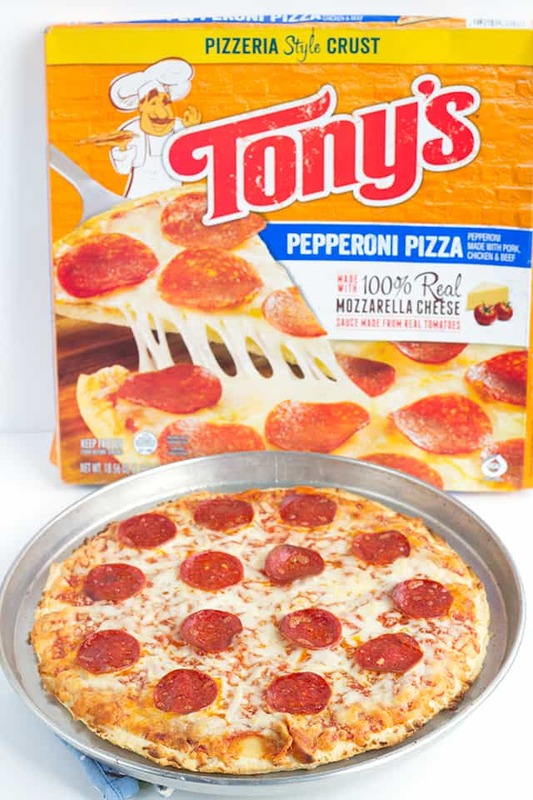 Tony’s Pizzeria Style Pizza has been around for over 50 years! It has a nice authentic taste that’s delicious. The mozzarella is real. It melts nicely and has that perfect stringiness to it. I love a nice cheese pull. That could be a foodie term. You know, when you pull out a slice of cheese or break apart a mozzarella stick, and that cheese stretches. That’s a cheese pull. 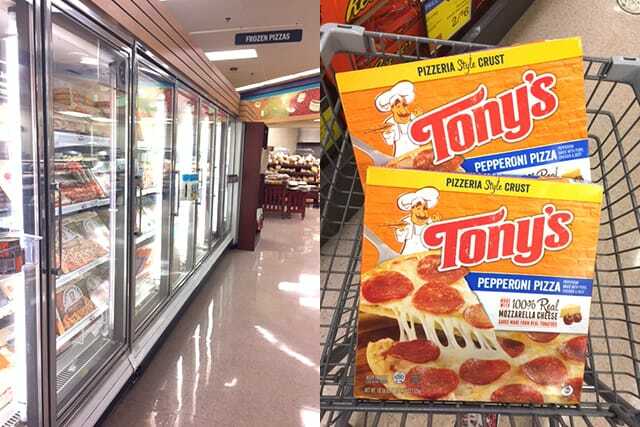 You can grab these pizzas at Price Chopper if you have one near by you. If you would like some awesome prizes from Tony’s Pizza, take a peek at the sweepstakes. 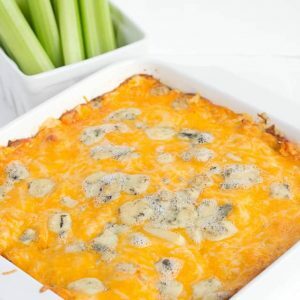 This buffalo wing dip is easy to make! You need to have shredded chicken all ready to use, though. I pressure cooked 2 chicken breasts with my pressure cooker. They fell right apart afterwards. You can also use rotisserie chicken if you don’t have time to cook the chicken. I also like to use a hand mixer to beat my ingredients together. With beating everything together, the cream cheese doesn’t end up in little chunks and not mixing with the ranch and hot sauce. It ends up smooth and creamy. I’m a huge fan of celery/celery seeds and a lot of cheese. I bet you could tell that. If you aren’t interested in having that little bit of stringy cheese in your dip, you can leave out the mozzarella cheese. I really like it and find it satisfying to dip my celery in there and have some stringy cheese come with it. 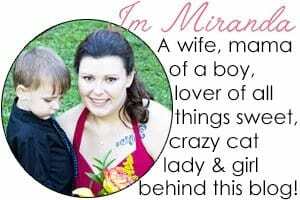 I feel like a nut case saying that. Do you want more dips? Take a look at these! This buffalo wing dip has a some spice and loads of cheese. It's creamy with shreds of chicken through it. It makes the perfect appetizer for game day! In a large mixing bowl, add in the cream cheese, celery seed, and about one-third of the ranch. Beat with a hand mixer on medium until smooth. Add in another one-third of the ranch and beat until smooth. Repeat with the last third of the ranch. Add in half of the hot sauce and beat until smooth. Repeat with the remaining hot sauce. Adding small amounts of liquid at a time will ensure that you won't have cream cheese lumps. Stir in 1/4 cup of blue cheese, mozzarella cheese, and 3/4 cup of the cheddar cheese or Colby-Jack. Stir in the shredded chicken. You can also cube your chicken. Spread out into a 8x8 baking dish. Sprinkle the top the dip with the remaining 3/4 cup of cheddar cheese or Colby-Jack. Add the remaining 1/4 cup of blue cheese on top. Place into the preheated oven and bake for 20 - 25 minutes until bubbly. Serve hot! Use the celery sticks and dip into the hot buffalo wing sauce. You can also dice up celery and add to the top of the dip and use chips to scoop with.